This is the third instalment in my series of blogs exploring the Freedom Makeup London Pro 12 Eyeshadow Palettes. 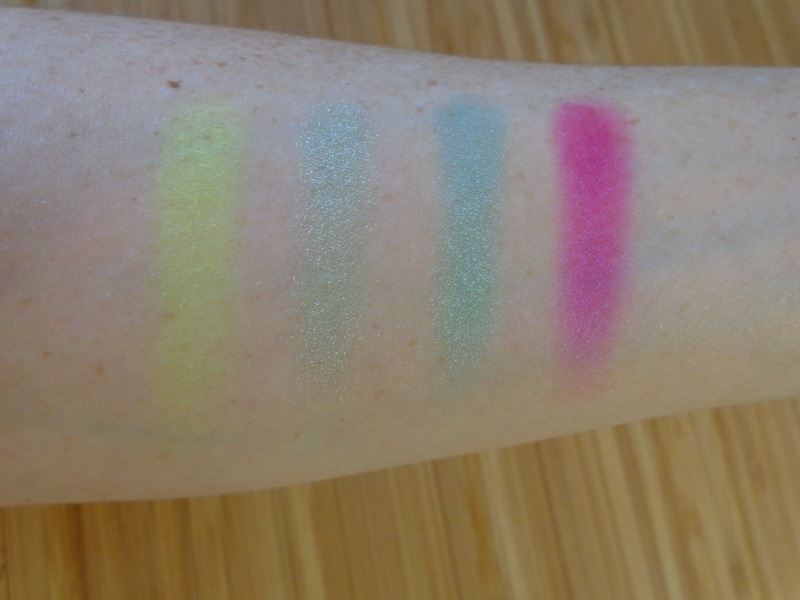 This post will be dedicated to the two palettes that contain particularly bright, fun colours. 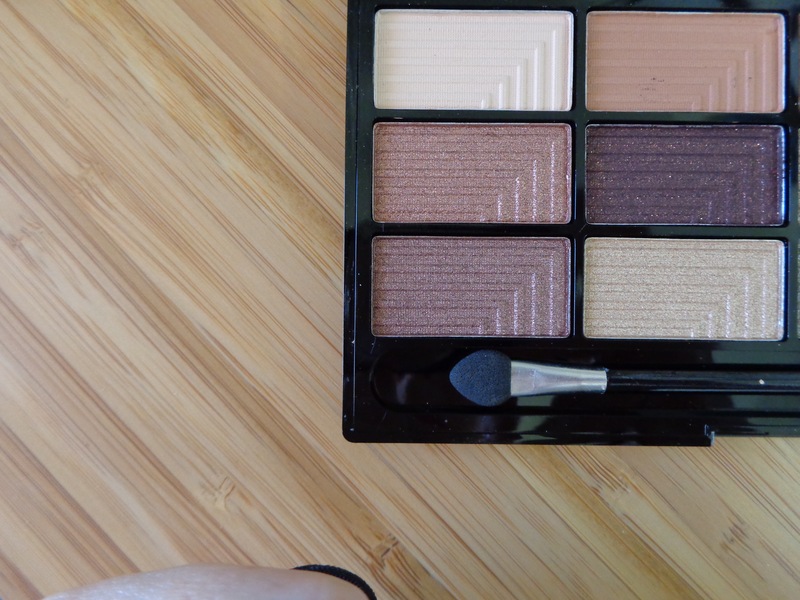 I encourage you to go and have a read of my other articles if you prefer neutral shades or are interested in these palettes generally and would like to see swatches from across the range. You can find article 1 and article 2 here. I am always drawn to the bright coloured palettes but I must say, I am never quite sure what to do once I have them. If you are in a similar situation then the Dreamcatcher palette may be a nice compromise. 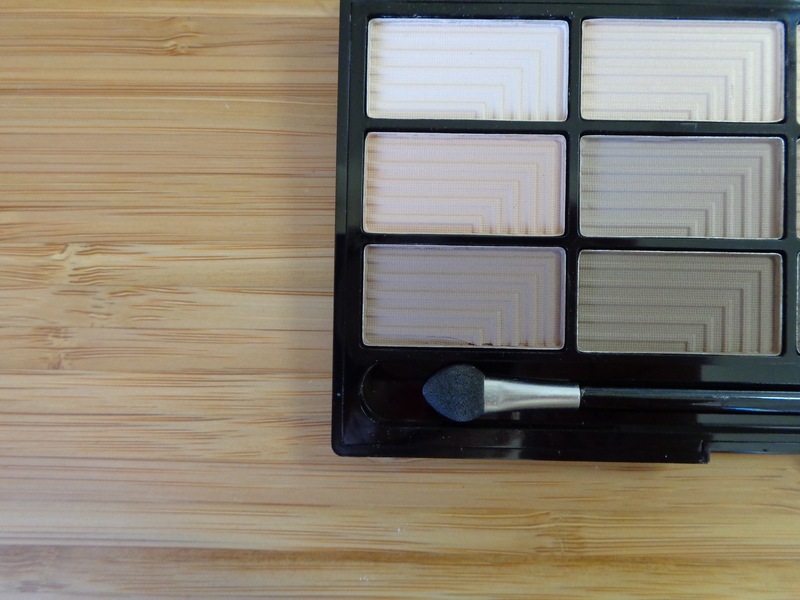 The top row of this palette is very soft, pretty and neutral. I see these as being the base onto which a pop of colour can be applied. 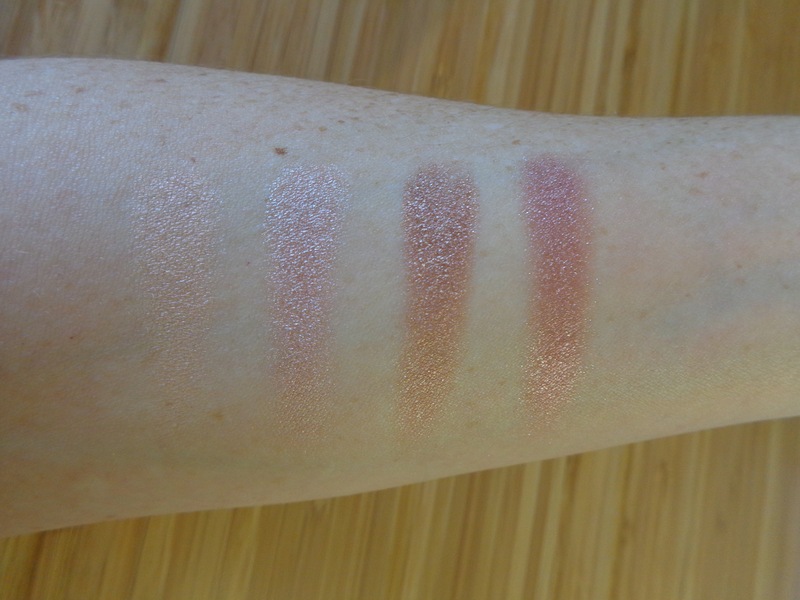 The first shade, which looks champagne in the swatch above actually has a lovely, subtle lavender duo chrome to it. The third row offers the most vibrant colours. While they certainly offer a pop of colour, I consider these very wearable colours. 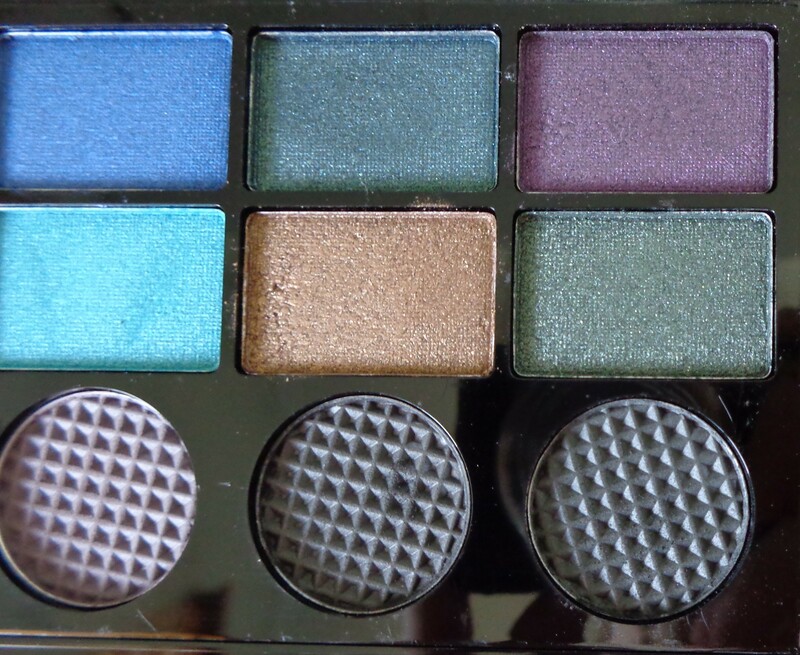 The dark purple, royal blue and dark green here are VERY similar to a purple, blue and green that appear in a number of Makeup Revolution palettes, so if you own any of those you may well already have these colours in your collection. The bottom row contains my favourite colour from this palette which is that really pretty lavender colour seen in the first swatch above. 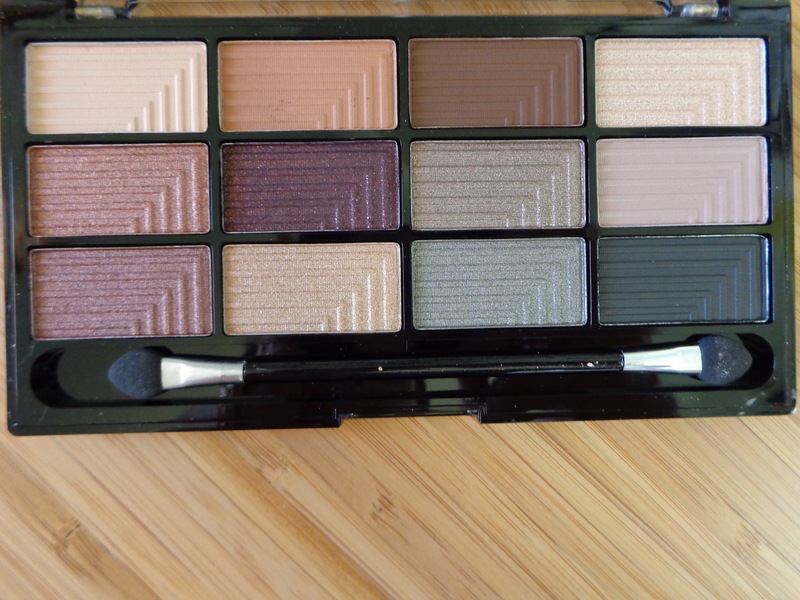 The only negative aspect of this palette for me is that all the colours are satins or shimmers and the only matte shade is the black. I own the Pro 12 Audacious Mattes palette so obviously this isn’t a real issue but my preference is to be able to grab for a single palette and get my whole look from that one place. 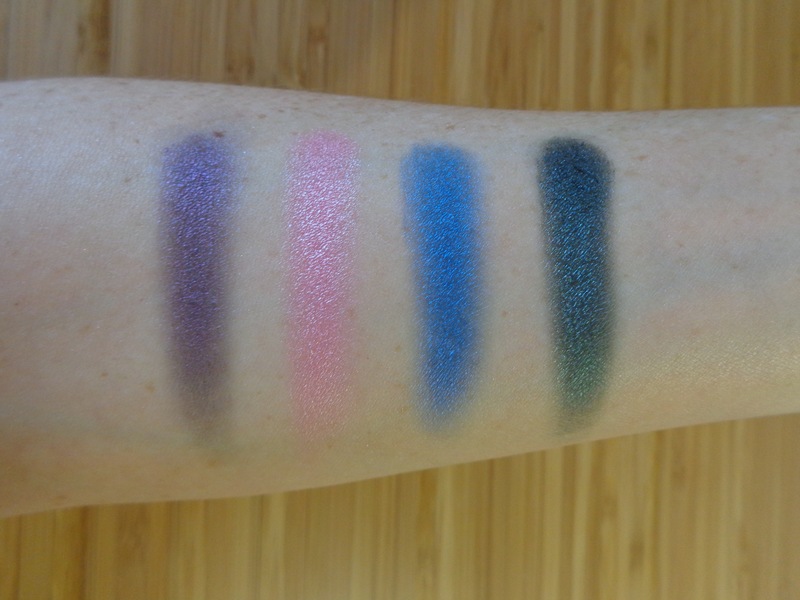 If you are a bit braver, a bit more adventurous or (like me), hope to be one day, then the Chasing Rainbows palette is really beautiful. This palette is for unicorn lovers 🙂 I mean LOOK at those colours! This palette contains two mattes (shades 1 and 12), five satin/shimmer shades (shade 3, 4, 5, 7, and 10) and five satin shades with silver micro glitter (shades 2, 5, 8, 9 and 11). The top row begins with a fluorescent yellow matte colour. 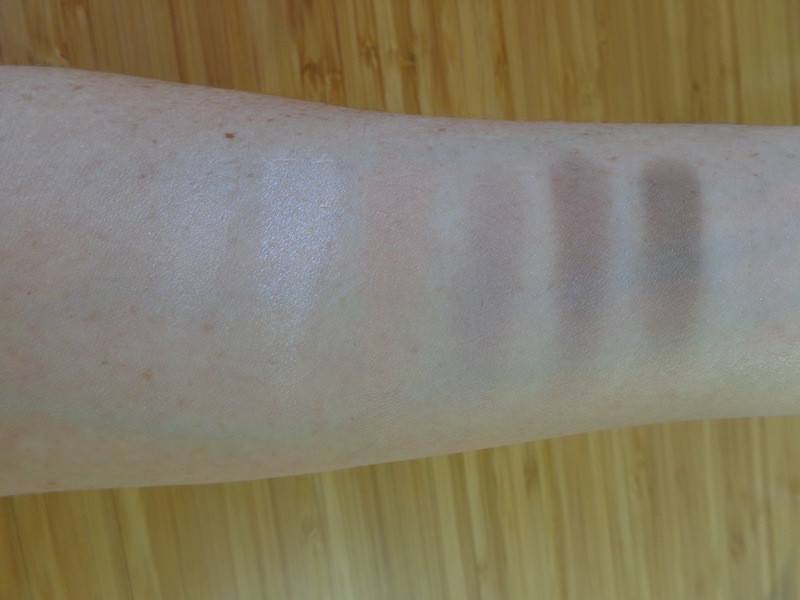 This isn’t that pigmented on the first swatch, but it is buildable. The first green shade contains silver micro glitter Then you have soft shimmery green and a bright fuchsia pink shade that REALLY pops and is so pigmented. The middle row has a shimmery blue followed by a slightly lighter blue with micro glitter, a dark purple (which is identical to the dark purple in the Dreamcatcher palette!!) and a dark pink with micro glitter. 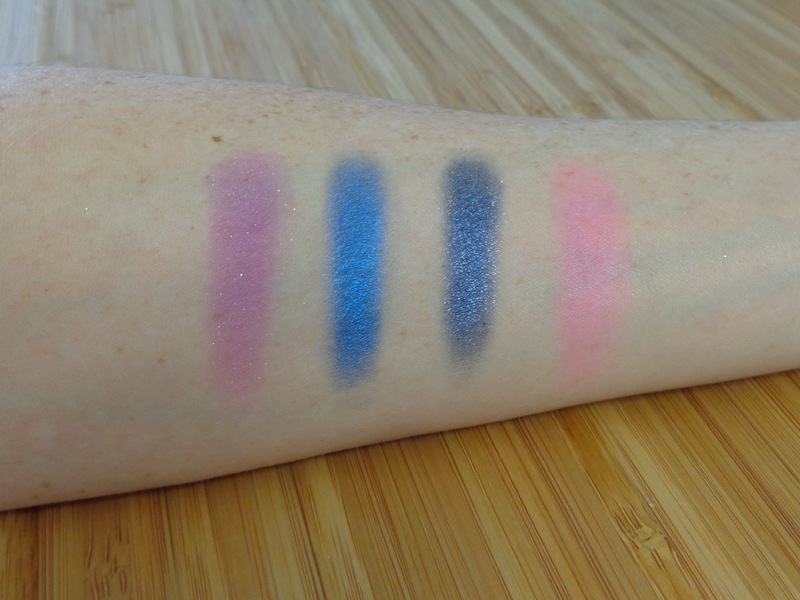 Lastly, the bottom row has a bright, pastel purple with micro glitter, a royal blue (which again, is identical to the blue from the Dreamcatcher palette – colour double-ups like this really bug me!) and then a fluorescent matte pink. Again, the pigmentation of the matte pink isn’t great, but it is buildable. 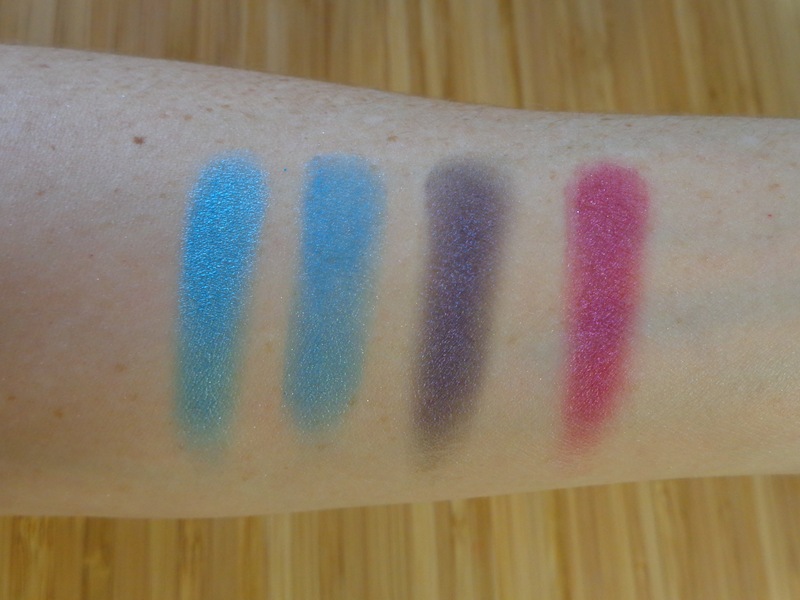 There are some very pretty colours in the Chasing Rainbows palette, but I have to admit that I don’t love the micro glitter shades. These really are too sparkly for my personal taste although they work well. 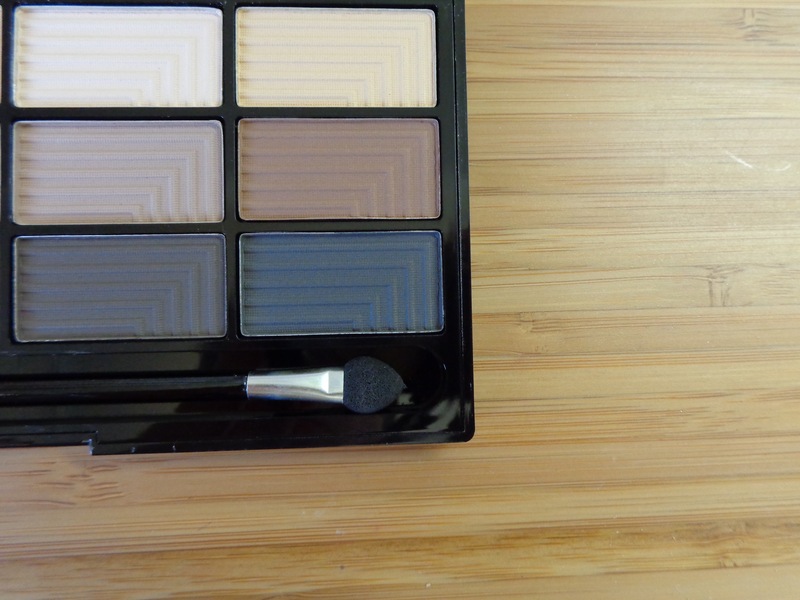 Overall, these are lovely palettes. They sit well within the Pro 12 range by offering a pop of colour to what is generally a neutral range of eyeshadow palettes. My only complaint is that there are definitely two colours here that appear in both palettes which makes me wonder how many of the neutral colours are doubled-up across the Pro 12 range. BUT if you own a more reasonable amount of makeup, this probably isn’t going to be an issue for you because you won’t own every palette 🙂 To be honest I probably wouldn’t have purchase the Chasing Rainbows palette if I had realised that five of the shades were glittery but, let’s get real, this palette only cost me AU$8, which is less than what I would pay for a cup of coffee and a slice of cake at a cafe SO I have hardly broken the bank. 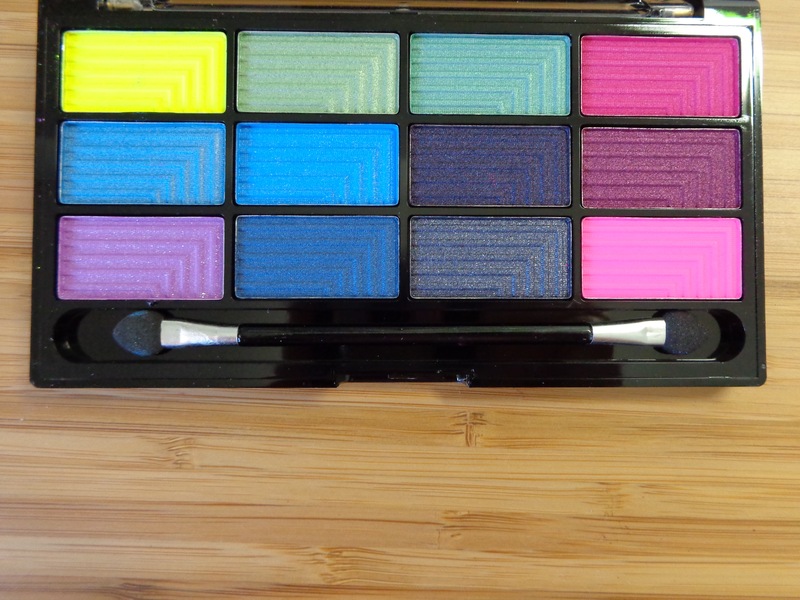 If you like glittery, colourful eyeshadow then this is the perfect palette for you! The compulsive part of my personality is tempted to buy the Audacious 3 palette because it is the only one from the range that I don’t own, but I am fighting the urge because I DON’T NEED MORE EYESHADOW!! And I believe that it is very similar to the Makeup Revolution Iconic 3 which I do own. If you do own both those palettes I’d be interested to hear how you think they compare. Do you own any of the Pro 12 palettes? I’d love to hear your thoughts in the comments. This entry was posted in Freedom Makeup London and tagged Be free to make up, budget friendly makeup, cruelty free, Freedom Makeup London, megansmakeupmuses, Pro 12 eyeshadow palette, Professional Eyeshadows on September 13, 2015 by megansmakeupmuses. When I did my very first order of Freedom Makeup London I ordered two palettes, Romance and Jewels and Secret Rose, from the Pro 12 Eyeshadow range and I really liked them. 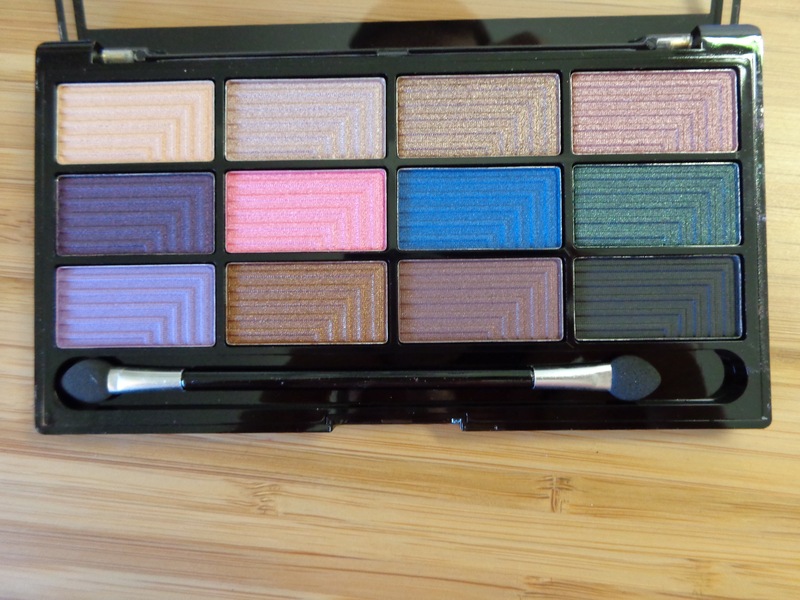 The quality is excellent, particularly the matte shades, and I thought the colours were just beautiful. 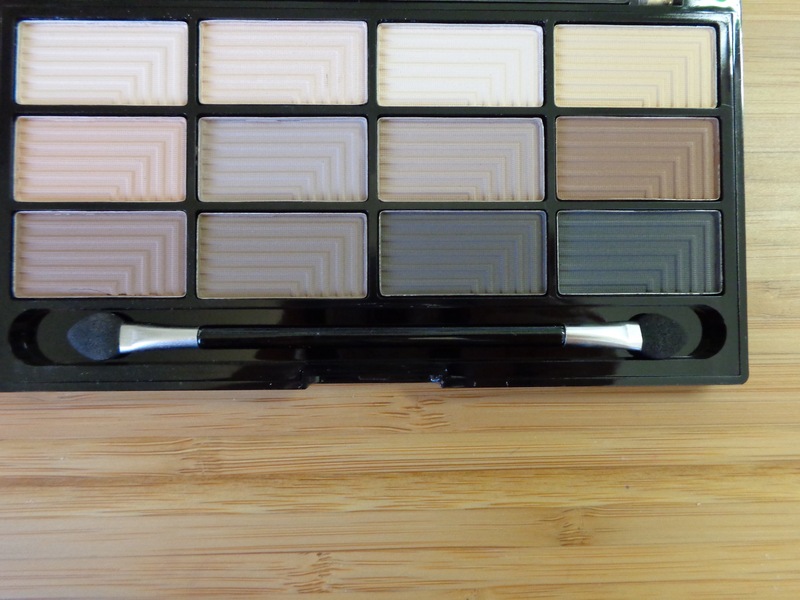 I did quite a comprehensive review of those first two palettes so I won’t repeat myself too much, but if you would like to read more about the quality of these palette you can find my first review here. Needless to say that I was so impressed by these palettes that when I decided to make a second order I went back and purchased a heap more. 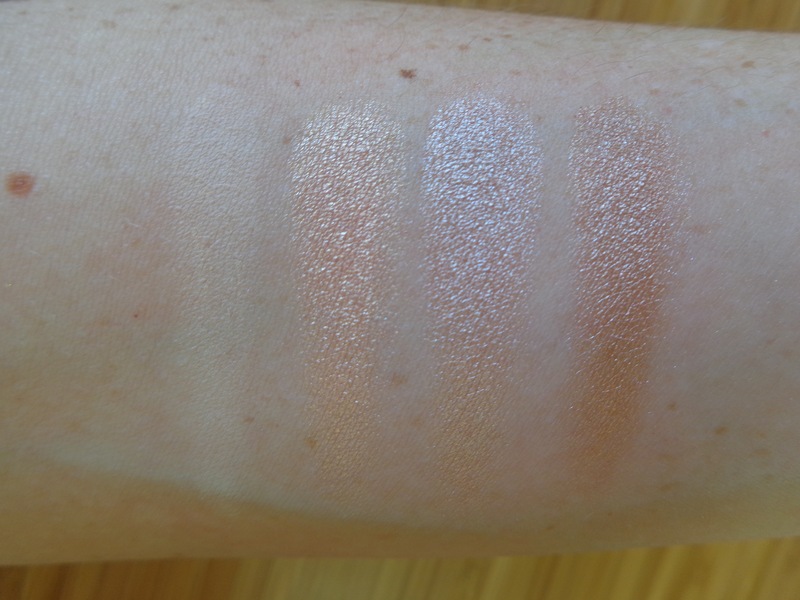 There is one palette that I don’t own from the Pro 12 range called Audacious 3, as it was extremely similar to the Iconic 3 palette from Makeup Revolution, but I do own the rest of the range so I though I would do a couple of posts of swatches for those of you who might be interested in making a purchase as there aren’t swatches for all of these palettes available on the website yet. I will start with the more neutral palettes in this post and work my way out of my comfort zone and into the brighter palettes in my next blog. First we have Le Fabuleux. 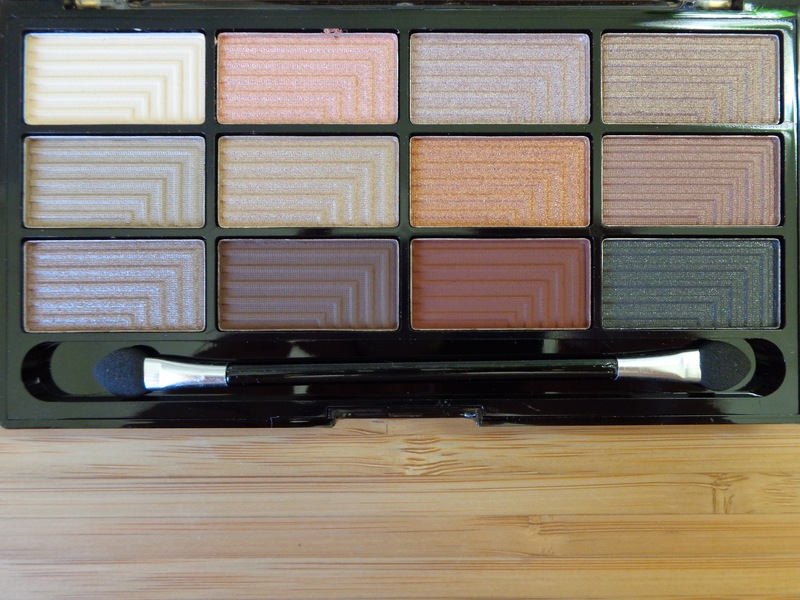 This palette offers a really nice mix of colours and finishes with both warm and cool tones. 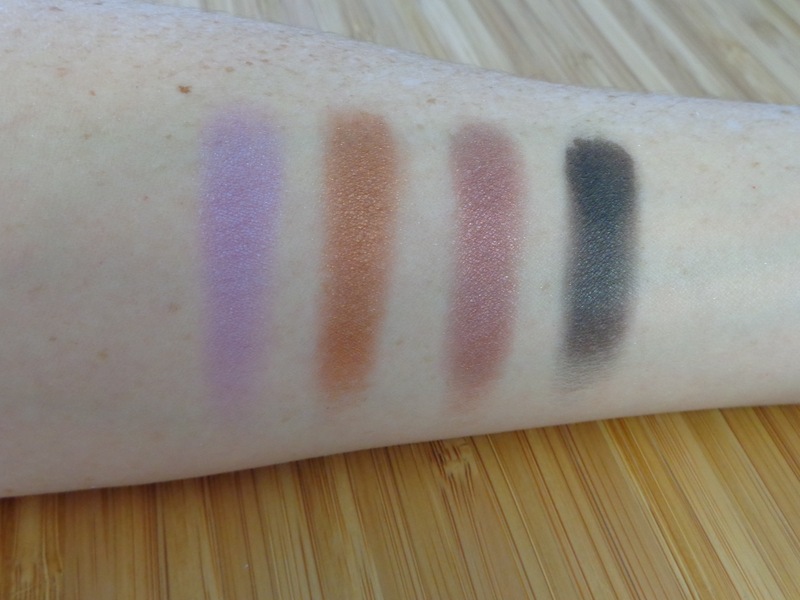 The next neutral palette in this range is the Stunning Smokes palette. 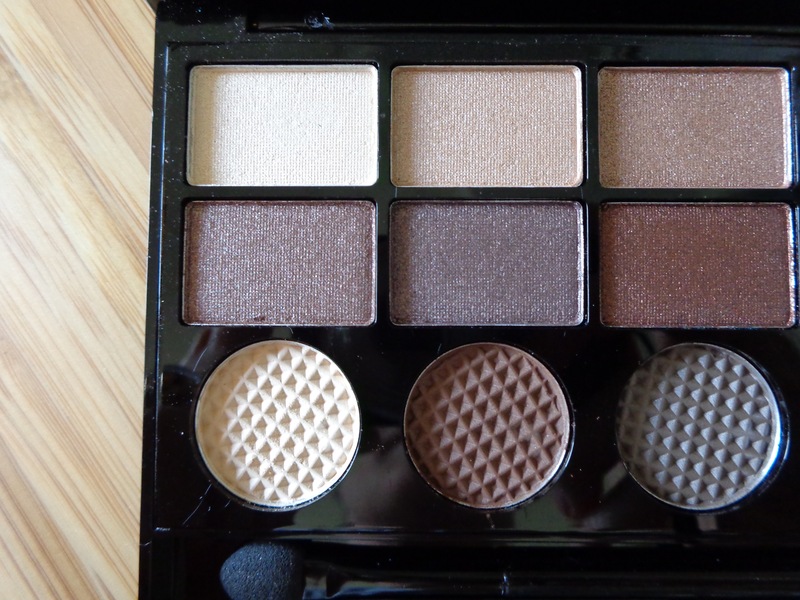 This palette provides colours for a rich brown smokey eye, a cranberry smokey eye as well as for a traditional grey or black smoky eye BUT there is enough here for a very neutral, everyday look too. 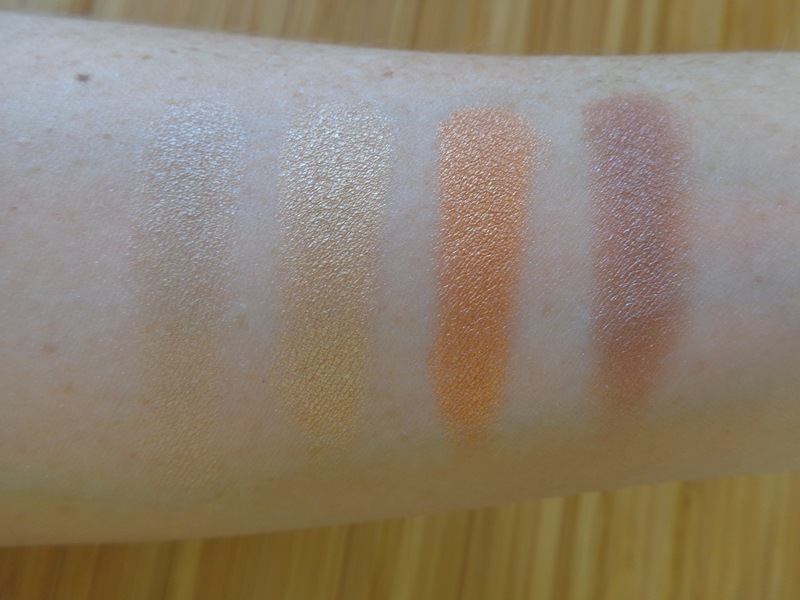 I love the matte camel colour, second along in the top row for a crease colour and find myself pulling this palette out just for that shade. 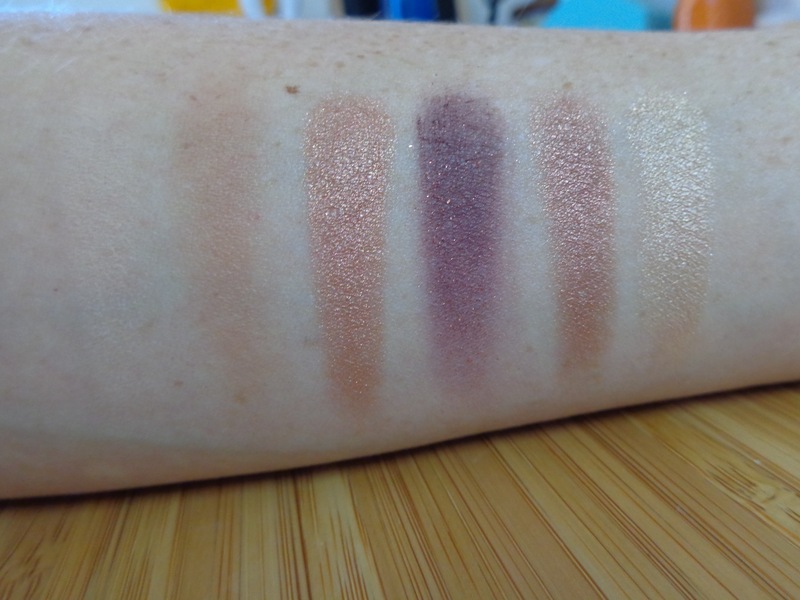 I took the images for this post on different days, so please excuse the inconsistency in how I approached the swatches. Here I have divided the palette in half. 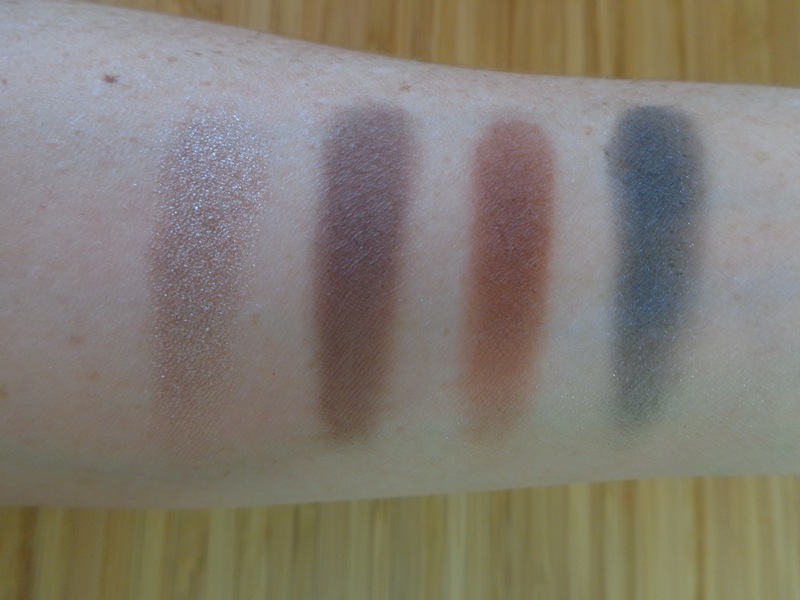 And finally for the more neutral palettes in the Pro 12 range we have the Audacious Mattes. 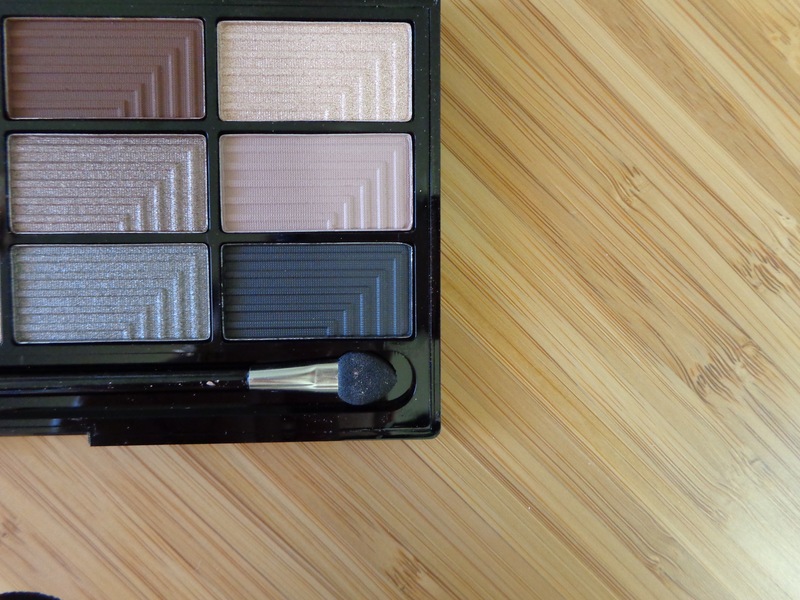 These are so soft and velvety to the touch and work really well on the eye. 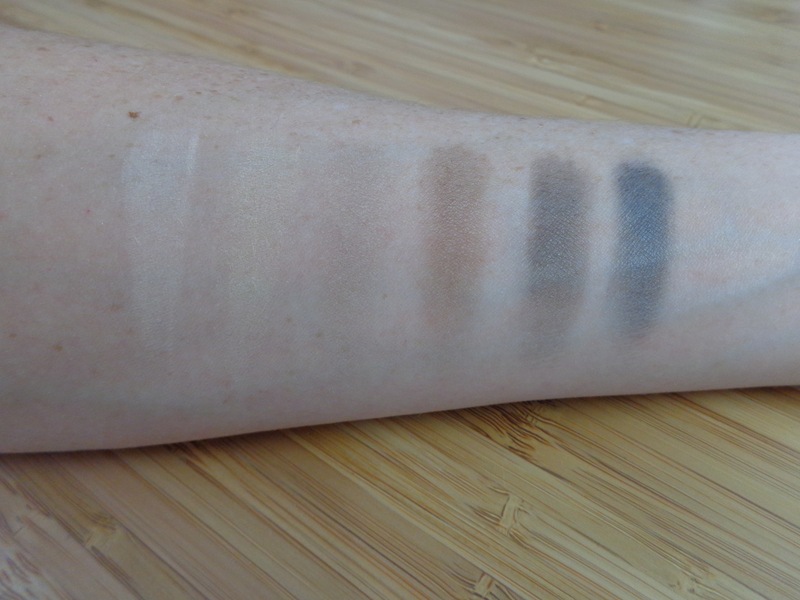 I feel like the pigmentation is much more easy to build on the eye than the swatches on my arm might suggest. 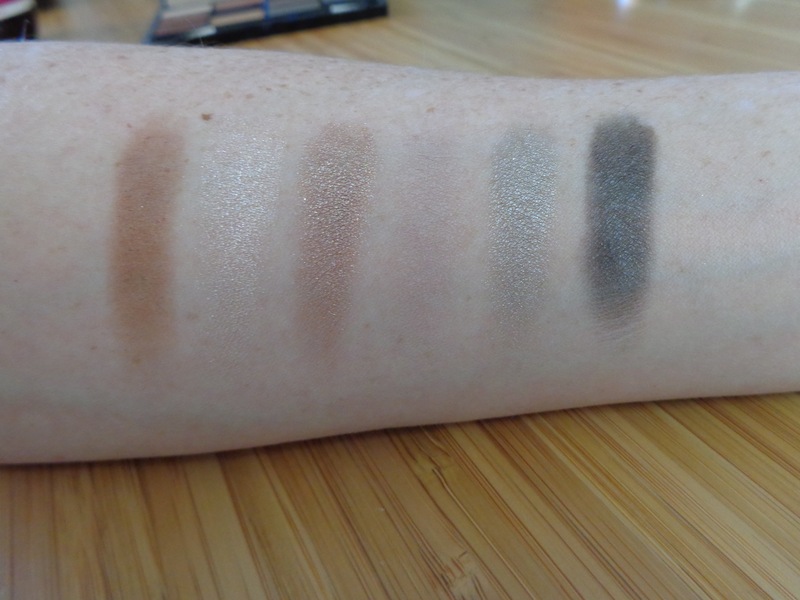 Interestingly there is actually one shimmer shade in this palette, which is second along in the top row. I love the thought behind this because it gives you a really beautiful inner corner highlight even though you may only want mattes for the rest of the eye look. A very practical inclusion for those of us who like to get our whole eye look from the one place. I really do like these palettes. They are priced at GPB4 on the Freedom Makeup Website which is just over AU$8 with the current exchange rate and that is excellent value for the quality in my opinion. Do I really need to own all these neutral palettes? NO! But I do use them and I do love them. Look out for my next swatch post looking at the Pro 12 Dreamcatcher and Pro 12 Chasing Rainbows palettes for some really fun, bright colours. This entry was posted in Freedom Makeup London and tagged Audacious Mattes, Be free to make up, budget friendly makeup, cruelty free, Freedom Makeup London, Le Fabuleux, megansmakeupmuses, Pro 12 eyeshadow palette, Professional Eyeshadows, Stunning Smokes on September 6, 2015 by megansmakeupmuses.